Five nights at Freddy’s is an awesome game where you are a guard with security cameras and doors that you can close. But you need batteries to do so, and if you run out of battery you die. Almost forgot to mention the robots. 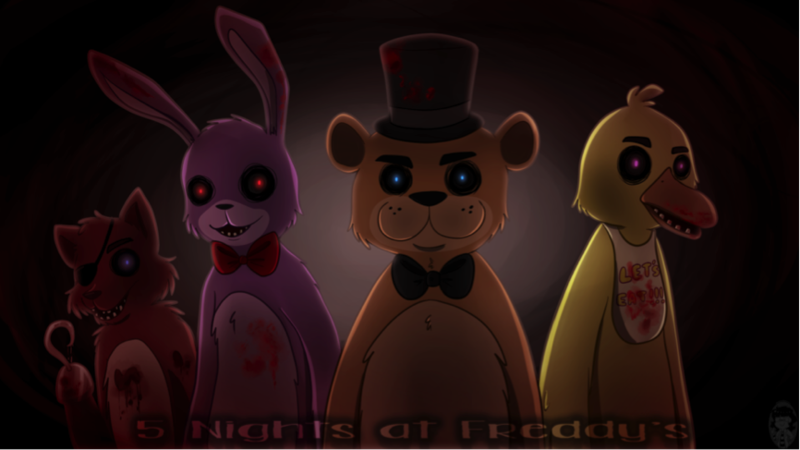 They are Freddy, Bonnie, Chica, and Foxy.